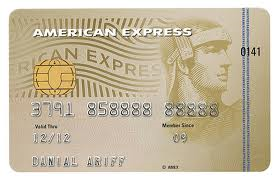 World Elite credit card gives you the outstanding purchasing power and top-of-the-line features. Benefit from credit up to the limit of the card and reimburse the used amount in monthly payments that vary between 5% and 100% Take advantage of exclusive travel, lifestyle, and insurance benefits tailored to invite you to a world of elite privileges and superb benefits that help you enjoy the finest luxuries in life and create extraordinary experiences.P.S: World Elite is available upon invitation only. A complimentary 24/7 concierge service that acts like a relentless personal assistant that will help locate hard-to-find items, reserve a table in the most refined restaurants or even plan the perfect vacation. Take advantage of accessing the world’s largest Wi-Fi provider and enjoy more than 1 million hotspots worldwide granting you free Wi-Fi to stay connected while you’re on the go in airports, restaurants, hotels, inflight and much more. Register now on sgbl.boingo.com. Purchase Protection: protection in case of theft or accidental damage (coverage over 12 months). Travel Inconvenience Insurance: baggage loss, baggage delay, trip cancellation, trip curtailment, trip delay, and missed connection. Travel Medical Insurance: personal accident insurance, emergency medical evacuation and repatriation, medical emergency expenses and daily in- hospital cash benefit. Rental Collision & Loss Damage Waiver: physical damage to loss of use, theft, and natural calamities towing of the vehicle and vehicle drop off charges. Get rewarded while shopping with your card: USD 1 spent = 2 Super Rewards points collected in Lebanon & 3 points collected abroad, that you can redeem for anything, anytime and anywhere around the world. For more information on World Elite card advantages and insurance terms and conditions, please click here and download “Mastercard for you” mobile application.